Art and creativity have always existed within the University, since the very moment when the University opened its doors for the first students. SUSU Art Center was established as a student club at Students and Postgraduate Students Trade Union of Chelyabinsk Polytechnic Institute more than 50 years ago. In October, 1999, supported by academic rector and trade union, the Art Center became an independent university department. Within 10 years, over 30 student creative teams were founded. Among them are the “Maneken” student theater, which is widely known throughout Russia and abroad; a ballroom dance company, the “Primavera” choir, the "Deep vision" dancing group, and the "Folk-tone" music theater. All creative teams of the Art Center hold the awards of international, national, regional and city festivals and competitions. Over 66 years of SUSU history, many traditions have emerged, including art traditions that are passed on from generation to generation. Theatrical performances, including "Matriculation Ceremony", "University Birthday", "Tatiana Day", "Miss Universiade", "Graduation day", "New Year Journey", and "Ball of Stars" are among the favorites. Today, the areas of work of the Center include arranging a great number of cultural activities; the employees of the Center have created over 100 playscripts; 2 books of playscripts were published as study guides (written by O.V. 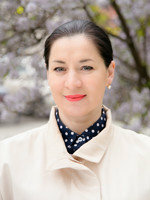 Gradskaya, the Director of the Art and Leisure Center, honored worker of culture of Russian Federation). During the academic year, festivals in different genres are organized, including choreography, vocalism, instrumental, rock music, student theatre, theatre of variety miniatures, poetry, art of declamation, magician's performance, and singer-songwriter performances. In October, the traditional festival "SUSU Talent" featuring performances by first year students is held. In recent years, the Art Center and Students and Postgraduate Students Trade Union for the first time have organized and conducted events that were much publicized in cultural and social life of Chelyabinsk as well as across Russia and abroad. In May 2006, the University hosted "SUSU Spring" International Student Festival for the first time in Chelyabinsk region with almost 1500 students of 70 universities from 40 Russian cities participating. The second International Student Festival "SUSU Spring 2008" was of an even larger scale. Theatrical Universiades, being part of these festivals, featured the student theaters from ten foreign countries, including Sweden, Iran, Lithuania, Slovakia, Germany, Finland, Belgium, Romania, and Belorussia. Based on the results of the last Universiade, an international creative theater lab was established on the basis of the “Maneken” theatre. The Art center has also developed new cultural activities for students, including thematic holidays "Russian submarine Fleet Day" that united the seamen all over the country, "Miss Rally Racing", "Miss Campus". Additionally, the Art Center organizes and holds charity activities – "Dance-action" art marathon (dedicated to the victims of Beslan tragedy); games for orphans; and concerts for World War II veterans. The largest planned and implemented project of Art Center was dedicated to the 60th anniversary of the University. Student creative teams undertook extremely successful tour of SUSU branches, playing in Zlatoust, Miass, Snezhinsk, Satka, Ozersk, Kyshtym, Verkhny Ufaley, Asha and Nyazepetrovsk. The Student Philarmonic Hall successfully operates within the Art Center for more than 30 years and holds the concerts of the best performers and teams from Russian and foreign countries in SUSU. To mention just a few of them: Robertino Loretti (tenor, Italy), Tchaikovsky Symphony Orchestra (directed by V. Fedoseev), "Italian virtuosos" (Italy), Daniel Kramer (piano, Moscow), Tailor University Choir (USA), Denis Shapovalov (cellist, Moscow). Many other worldwide renowned stars have also been the guests of the University. Upon the initiative of the Art Center and with rector support, the Winter Garden was opened and soon became a favorite place for a short rest for faculty, students and staff of the university. City and regional mass media as well as "Technopolis" university newspaper are constantly highlighting the art created by the students of the University. Chelyabinsk regional TV as well as national television networks dedicate programs and pieces to student art teams of the University. Today, the SUSU Art Center is a cultural center not only for the city, but for the whole region. It could easily be seen if we look at the broad range of the Art Center activity – every year it organizes more than 200 concerts and 50 theatrical performances and thematic performances as well as over 130 visits to professional theaters and concert halls. Throughout the year, including summer and winter holidays, the Art Center creative teams perform at recreation centers and tourist routes. Certainly, the paramount for every university student are the studies, but what an interesting life full of applauses, smiles, tours and support from the audience and fellow students awaits the ones who join the big and close-knit family of SUSU Art Center every year!